I co-edited The Philosopher’s Banquet: Plutarch’s Table Talk in the Intellectual Culture of the Roman Empire with Dr. Katerina Oikonopoulou of the University of Patras, published by Oxford University Press in 2008. 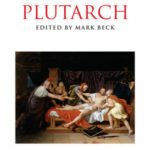 The book contained a series of essays about different aspects of Plutarch’s Table Talks and offered new insights into the philosopher’s work and the period in which he lived. I also wrote a chapter in Blackwell’s Companion to Plutarch (2014) and Brill’s Companion to the Reception of Plutarch (2019). 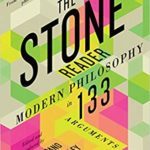 My 2010 New York Times essay about ancient philosophy featured in the 2015 collection, “The Stone Reader: Modern philosophy in 133 arguments” edited by Peter Catapano and Simon Critchley. In 2008, sections of the Not For Tourists Guide to London (Not for Tourists Inc, 2008) reviewing bars and restaurants and writing the area overview for Primrose Hill. 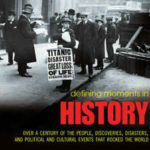 In 2007, 12 essays for Defining Moments in History (Cassell, 2007), a book about the significant characters, innovations and cultural moments of the twentieth century.